All deli platters come wrapped and garnished. Platters include pickles, lettuce, tomato, mustard, and mayo and your choice of bagels, breads, or rolls. When you need a fast and fresh option for lunch catering at your company contact Between Rounds Bakery Sandwich Cafe. 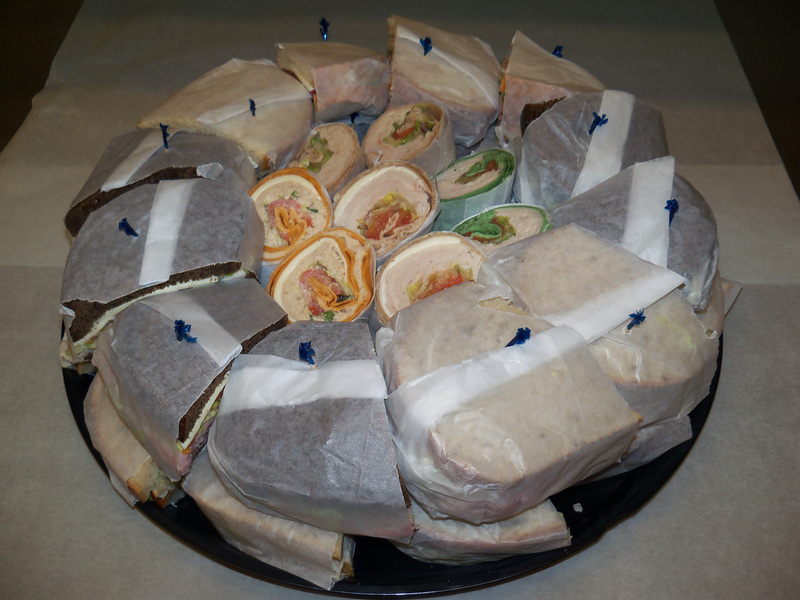 We offer a delicious Deli Platter that come fully wrapped and garnished. Our large deli platters serve 24-26 and our small platters serve 14-16. You can also order one of our sandwich platters for office parties, lunches, and corporate events. These tasty platters feature assorted sandwiches cut in half and arranged creatively on a platter. Sandwiches are wrapped and come with pickles and chips.